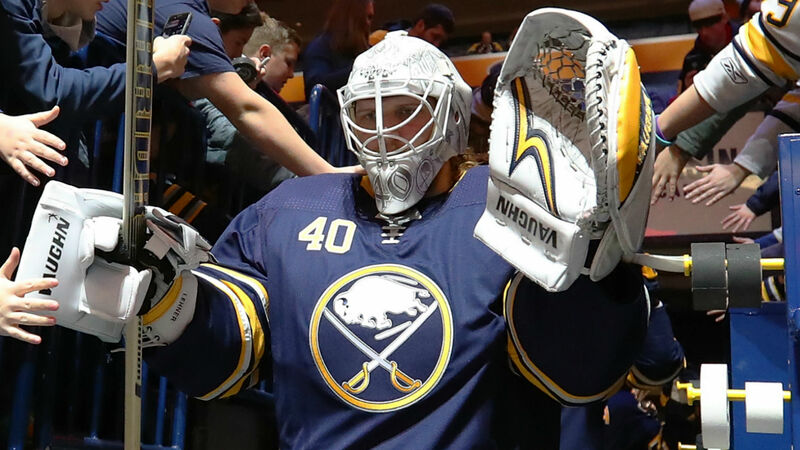 Lehner cited a March 29 game against the Red Wings — his final appearance for Buffalo — when he was removed in the third period after suffering a panic attack. The night prior, he had called Sabres goaltending coach Andrew Allen and alerted him to his deteriorating mental state. It was at that point, Lehner said, he decided to seek immediate help. A few weeks prior, he had contacted officials with the NHL and NHL Players’ Association’s substance abuse program looking for assistance. Initially, he was planning on attending treatment after the season ended, but March 29 changed his plans and he admitted himself to an in-patient facility in Arizona, where he spent weeks inside a detox program and was diagnosed as bipolar 1 with manic phases. Lehner’s treatment was life-changing and he returned home. But without a contract for the 2018-19 season, his future in the NHL became complicated by the uncertainty surrounding his situation. He faced questions about whether I “was a bad person or a bad teammate” from teams unaware of his private struggles. Read Lehner’s letter in its entirety here (subscription required).